Bali Restaurant It is the west area of rice field Jati Luwih in Tabanan regency. Jati Luwih means "magnificent" and you can see great rice terrace view there. 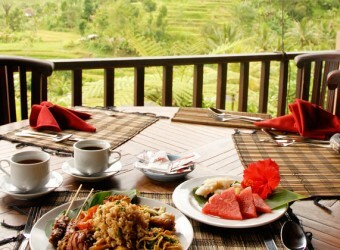 In Giri Padi, you can enjoy your meal with great rice terrace view. It is in the same site of Bali Nature Land that offers many fun bnature activities. Please feel wind of Bali throughg rice terrace.